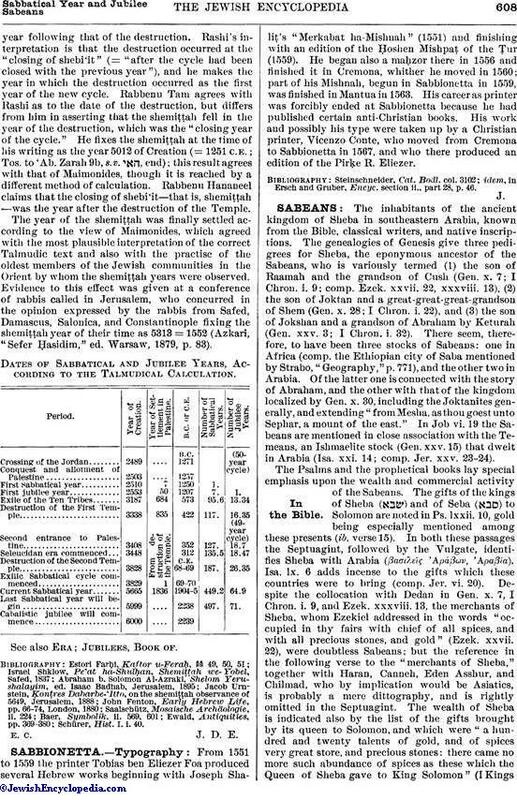 The Psalms and the prophetical books lay special emphasis upon the wealth and commercial activity of the Sabeans. 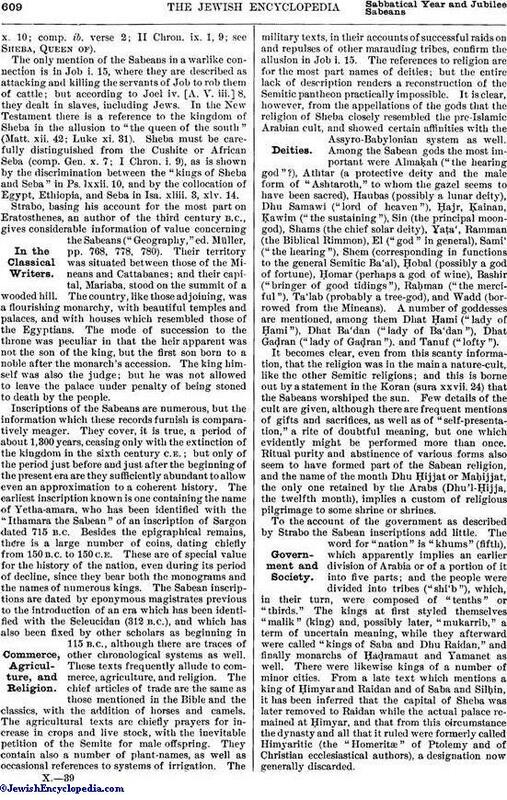 The gifts of the kings of Sheba ( ) and of Seba ( ) to Solomon are noted in Ps. lxxii. 10, gold being especially mentioned among these presents (ib. verse 15). In both these passages the Septuagint, followed by the Vulgate, identifies Sheba with Arabia (βασιλεῖς Ἀράβων, Ἀραβία). Isa. lx. 6 adds incense to the gifts which these countries were to bring (comp. Jer. vi. 20). Despite the collocation with Dedan in Gen. x. 7, I Chron. i. 9, and Ezek. xxxviii. 13, the merchants of Sheba, whom Ezekiel addressed in the words "occupied in thy fairs with chief of all spices, and with all precious stones, and gold" (Ezek. xxvii. 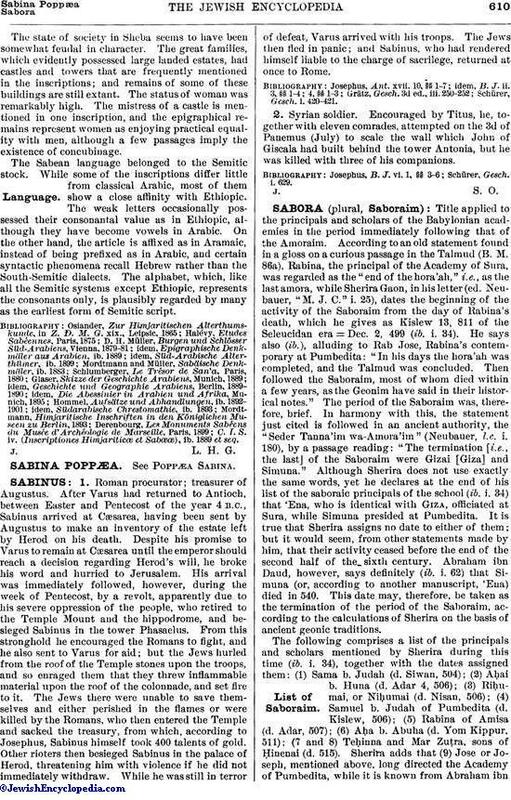 22), were doubtless Sabeans; but the reference in the following verse to the "merchants of Sheba," together with Haran, Canneh, Eden Asshur, and Chilmad, who by implication would be Asiatics, is probably a mere dittography, and is rightly omitted in the Septuagint. The wealth of Sheba is indicated also by the list of the gifts brought by its queen to Solomon, and which were "a hundred and twenty talents of gold, and of spices very great store, and precious stones: there came no more such abundance of spices as these which the Queen of Sheba gave to King Solomon" (I Kingsx. 10; comp. ib. verse 2; II Chron. ix. 1, 9; see Sheba, Queen of).